Concrete is one of the most popular construction materials in the nation. It is strong, durable, and versatile enough to be used in many applications. 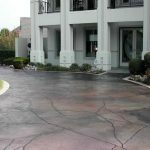 Additionally, poured concrete can be made to have many different appearances, making it suitable for everything from sidewalks and roads to living room floors. 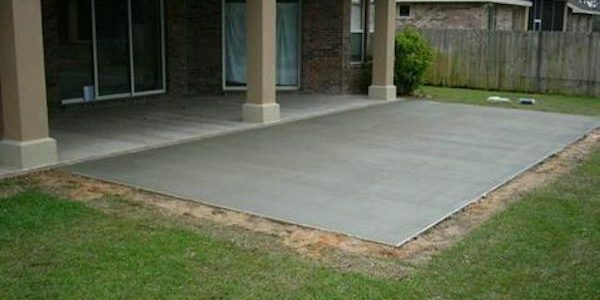 One of the benefits of pouring concrete is that it can take whatever shape you want it to form. This makes it a perfect material for creating a flat, solid surface in almost any situation–even when poured over itself! 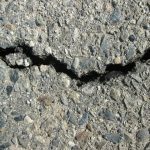 There are several reasons why you may want to pour new concrete over an existing concrete patio. 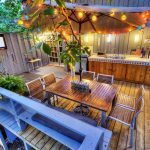 If you want to expand the size of your patio, make it higher, or create a different surface appearance, pouring concrete over the patio you already have is an option to consider. 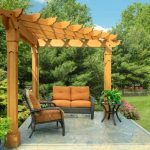 In almost every scenario, this will be much faster and far less expensive than removing the old patio and creating a new one from scratch. 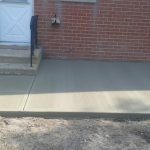 It is fine to pour three to four inches, or even a thinner layer, of new concrete over an existing patio as long as you have enough room under any doors or gates surrounding the patio to allow them to open properly. 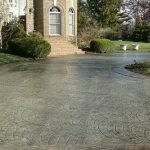 To do the job well, it is a good idea to apply epoxy over the top of the original patio to create a membrane between the two layers of concrete. Also, the new concrete should be made with a higher sack mix and some fiber additive. 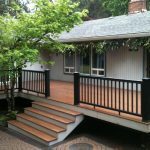 Need to find a pro for your concrete patio? Pouring concrete patios can get messy, but it is a job that, with a little research and some patience, many do-it-yourselfers might attempt themselves. 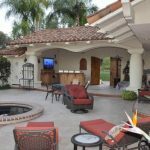 Purchasing a ready-made concrete mix that requires adding only water can take some of the guesswork out of combining dry ingredients (though these mixes are too expensive for very large projects, for a patio, the convenience is probably worth the extra cost). You may also simply prepare the site and hire a cement mixer to come in and pour the concrete you need. 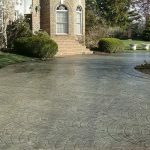 Specialty concrete finishes can be a bit tricky–if you want a highly polished, stained, or stamped patio, you’ll definitely need to call in a professional. How much does cement cost? Consult our Concrete Delivery Cost Guide for estimated figures.